Chicago Skyline, with US flag. From hi-tech skyscrapers to low-rent dive bars, from the Mag mile to mouthwatering summer margaritas, Chicago has it all. Pól Ó Conghaile celebrates one of the great American cities. Architecture from the water, Windy City-style. Before I travelled to Chicago, I tweeted looking for tips. This river cruise, run by the Chicago Architecture Foundation, was hands-down the most popular – and it didn’t disappoint. Certified guides talked us through dozens of skyscrapers (and 23 bridges) as we eased down the Chicago River, with highlights ranging from the 110-storey Sears Tower to a neo-gothic Wrigley building. Though at times it felt like our guide was reading from a script, the unique perspective and sheer power of this iconic skyline made it worth the sky-scraping ticket price. 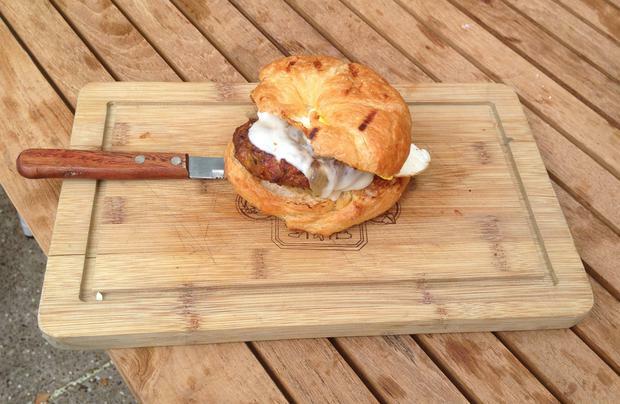 Sausage sandwich, The Butcher & Burger, Chicago. Details: butcherandtheburger.com; 1021 West Armitage. Pól's Chicago selfie. Say cheese! To students of public art, it is ‘Cloud Gate’, a 110-ton elliptical sculpture crafted by British artist Anish Kapoor to reflect Chicago’s famous skyline. 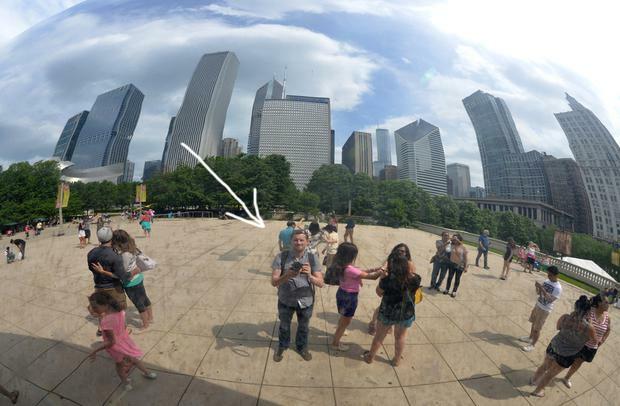 To the rest of us, it’s simply ‘the bean’, and one of the best selfie opportunities in the States. Pop along to Millennium Park, walk around it (and beneath it) and watch the reflections morph and move along the liquid mercury-like surface. Brilliant. Is it the ‘L’ or the ‘El’? Whatever. The “elevated” section of Chicago’s transit system is one of the most celebrated pieces of public transport infrastructure in the US, with even the shortest of journeys offering a mind-blowing ride through the skyscrapers and streets of downtown. The retro-futuristic feel is what makes it – clattery old tracks and chunky silver trains transporting riders through a cinematic skyline that feels at once alien and ultra-recognisable. Just don’t miss your stop! Details: www.transitchicago.com; day passes from $10. Chicago sprawls brilliantly – offering no fewer than 77 neighbourhoods. Lincoln Square and Bucktown may be the obvious picks, but I loved Ukranian Village, an up-and-coming hangout to the west side of downtown. Named for its Ukrainian heritage, the neighbourhood today is super for snacks (try the ice-cream at Black Dog Gelato, 859 N Damen) and bar crawls. A lazy schlep from the 1950s fridges and surprising beer garden of Phyllis’s Musical Inn (pictured, 1800 W Division) to the gritty live music of Empty Bottle (1035 N Western) is just the ticket for Friday or Saturday night. Dublin has U2. Chicago has Wilco. The alternative rock band has released tonnes of great records since its formation in 1994 (Summerteeth, Sky Blue Sky and Kicking Television are a good primer), winning as many fans for its hard-work and honesty as its tunes. They’re pretty much musical royalty in Chicago, and here’s a glimpse of them live at the Civic Opera House. Of all the touristy things to do in Chicago, bringing your credit card for a walk along Michigan Avenue surely tops the list. Passing historic structures like the Water Tower and iconic skyscrapers like the Hancock Building as you dip in and out of Disney, Burberry, Nordstrom et al is quintessential Chicago. One tip, however – if it’s deals you’re after, don’t miss the sale rails at Nordstrom Rack (Nordy Rack, as locals call it), a little further south at State and Washington. shop.nordstrom.com. Margarita at Big Star, Wicker Park. When you absolutely must have tacos and ice cold pitchers of margarita on a Saturday afternoon in the sun, Big Star is the only show in town. The Wicker Park hangout gets super-busy in summer (with a sky-high hipster quotient too), so booking ahead is a must. The margarita ($9) is a mix of Lunazul Blanco, Lime, Marie Brizard Orange Curaco and big chunky ice-cubes, and the menu is inspired by Mexican street food… try the taco de pescado, a mix of beer battered tilapia fillet, chipotle mayo, cabbage, red onion and lime for $4. You could easily lose an afternoon here. Details: bigstarchicago.com; 1531 N Damen. “When I sell liquor, they call it bootlegging,” Al Capone once said. 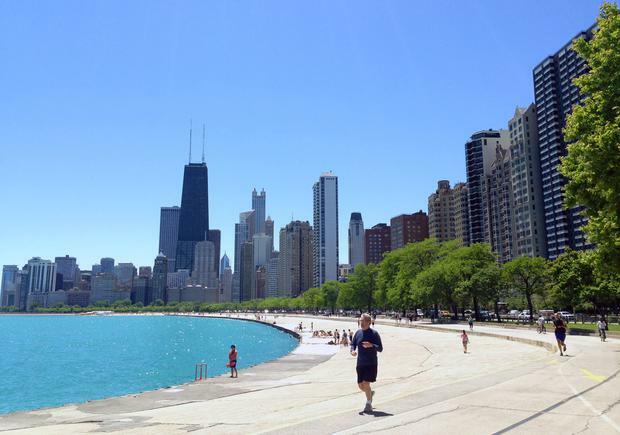 “When my patrons serve it on silver trays on Lake Shore Drive, they call it hospitality.” The Lake Michigan shoreline is a huge part of Chicago’s identity – in fact, the city boasts 26 miles of shoreline, a 19-mile cycle path and no less than 33 beaches. This little sandbar beneath the skyline is my favourite, and there are lifeguards for swimming too... though be prepared for some pretty bracing water. Frank Lloyd Wright's Home & Studio, Oak Park. 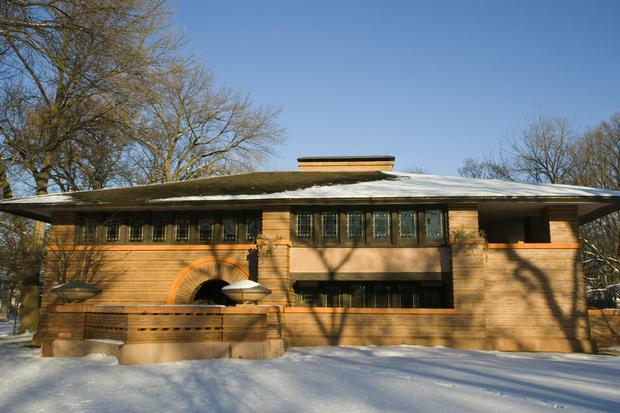 Frank Lloyd Wright’s first home was pretty much his laboratory, the place where dreams and doodles began edging towards the Prairie style of architecture. The Oak Park residence is open to visitors, giving an up-close-and-personal tour not just of his studio, but also his living space… right down to the gingko tree that he built around, rather than chopping down, when designing his home. Of course, there are no prairies around Oak Park today, but 27 other Wright-designed structures can be seen on neighbourhood walking tours. Pól flew as a guest of Aer Lingus (www.aerlingus.com). For more on what to see and do in Chicago, visit www.choosechicago.com, the city’s official visitor site. Chicago traffic can be terrible, so consider taking the El directly from O'Hare. Book the best value packages to Chicago on Independent Travel here.